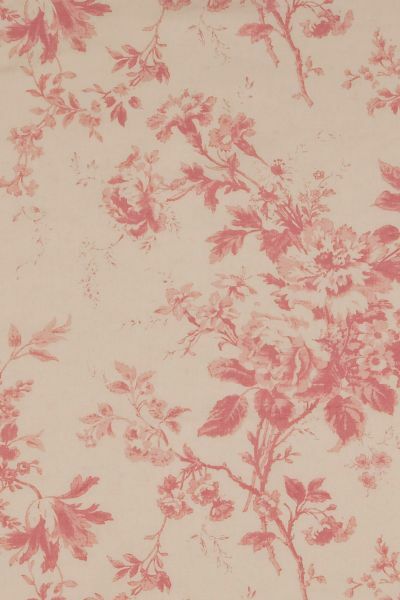 A spontaneous and decorative floral print on a natural buff coloured linen ground. In beautiful shades of raspberry pink, the loose bouquets of flowers are one directional and monotone. A formal yet intimate design. Please note that it takes approximately 4 weeks from confirming your order for your fabric to be ready to dispatch. Vertical repeat: 47 cm approx. Cabbages & Roses fabrics are all printed to order in England. Please note that it takes approximately 4 weeks from confirming your order for your fabric to be ready to dispatch. Our timeless fabrics are all pigment printed on to natural linen and go through several processes to ensure that it is soft and generous in its texture. Cabbages & Roses offer a bespoke curtain and cushion making service to interior designers and customers looking for something unique. You can contact us for more information.